We have previously visited the border crossing at Narva-Ivangorod. It’s still heavily guarded. Now we make a visit at a border crossing between Germany and the Czech Republic to see how it looked before the Czech Republic became part of the Schengen area. Above, we see a picture from 2006. To get in or out of the Czech Republic you needed a valid passport to show. It could result in long traffic jams. The picture was taken at Petrovice (Czech Republic) and Barathal (Germany). In German, Petrovice is called Peterswald. The physical land border consists of a ditch that runs through the countryside. The border crossing here was created in 1976. 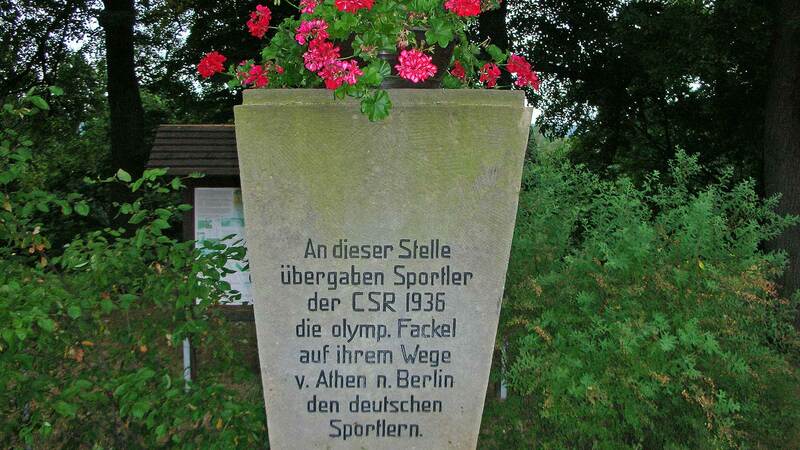 At this rather anonymous crossing was the torch handed for the Summer Olympic Games in Berlin in 1936. The torch then had traveled from Greece. For this reason, there is a monument of the event. Today, the border station remain exactly like the picture but no longer any need to stop at the passing on the road between the two countries. Schengen area currently consists of 22 countries. 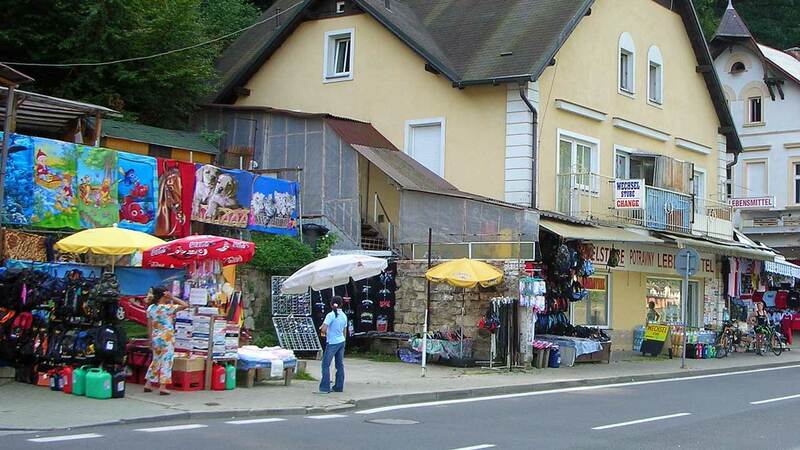 It is enough to roll a few meters into the Czech Republic to experience the extensive border trade. But beware of exchange rates!